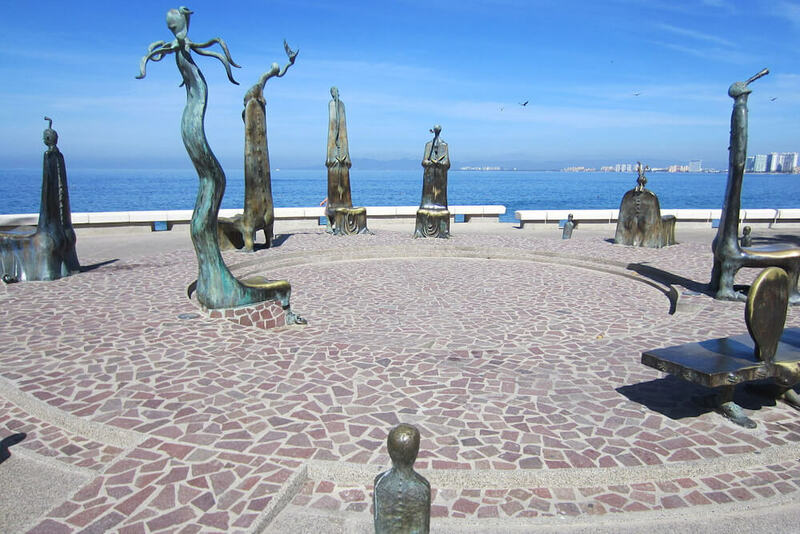 Take an afternoon or evening stroll along the boardwalk in Puerto Vallarta where you can see sand sculptures, permanent statues, exceptional views of PV and Banderas Bay, great shops and fabulous people. On certain days of the week, you can see the Papantla Flyers who climb the tall metal pole and perform a death defying head first spiral to the ground. Also don’t miss the symbolic arches at the South end of the malecon and the historic Our Lady of Guadalupe church. You can either take a taxi (about 35 minutes) or a local bus to get to Puerto Vallarta.